What service will Spaces by Dee provide you with? All my design relationships begin with a consultation, in a 1-3 hour session, where I develop a rapport with clients, gain an understanding of their needs and expectations, and get a feel for the space. The subjects covered during this session include space planning, design problem solving, colour scheme, style, wish-list, budgets and timelines. This service is perfect for clients who would like access to professional design expertise, insider tips, and advice to develop a design plan that they can implement themselves. I will meet with you in your space and conduct a consultation. After your initial consultation, I will create your dream design plan before returning 3 weeks later for a 1-hr appointment to present your plan which will include; a floor plan including furniture, a concept/mood board, a budget guideline of what things will cost, a checklist of items for implementing the design, paint colour selections and a list of artwork and accessory suggestions. Spaces by Dee can accommodate any type of project ranging from a little sprucing up of an existing space, to renovations, to full project design collaborating with architects and contractors on new construction from the ground up. Full project design can include furniture plans and the specifying and sourcing of materials, finishes, fixtures, tile, stone, hardware, paint colours, furniture, fabrics, accessories, rugs, window treatments, art and more. To inquire about full project design services please contact me directly to discuss the scope of your project in more detail. 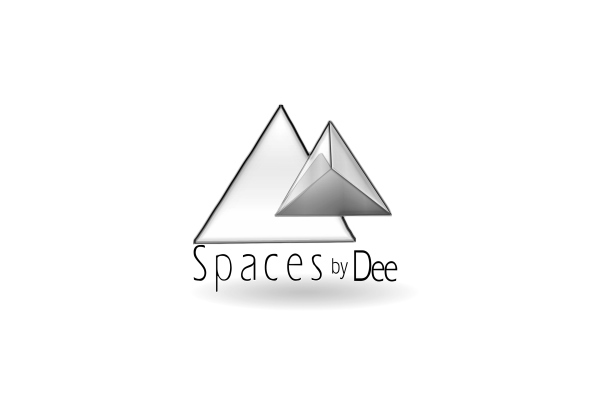 Spaces by Dee offers online interior design services and packages regardless of your location or budget. This exciting design experience is a do-it-yourself decorating solution that provides you with a master plan for creating a professionally designed space or entire home that you can implement at your own pace. Everything is delivered right to you via email! Just provide me with your room sizes, photos, budget and I will custom design you personal inspiration boards, paint colour selections, product purchase list, and/or floor plan/3D models. Spaces by Dee can provide you with 2D realistic photos or 3D animations of your exterior/interior project. Also able to provide you with CAD drawings to generate working drawings for construction, floor plans, furniture plans, lighting plans, custom millwork and more. A house is more attractive to potential buyers when it’s beautifully decorated and furnished. Spaces by Dee can transform your house on the market into a home buyers can envision themselves in, selling quicker and for a higher price. As an artist I am able to create artwork to perfectly compliment your space. Custom art gives an interior a lux, personalized and unique touch. Custom paintings are also great for gifting. I specialize in portraits, cityscapes and abstract artwork. Please contact me for further details.